Srinagar is the capital of Jammu and Kashmir, the north-most state of India. 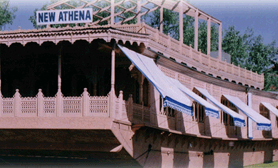 This mesmerizing city is located in the Kashmir Valley, on the banks of the river Jhelum. The city is highly popular for its gleaming lakes and especially houseboats. 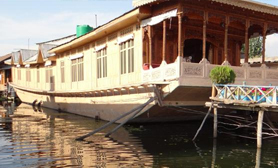 Enjoying a comfortable stay on the houseboats in Srinagar is an exclusive experience that should not be missed by the travelers. 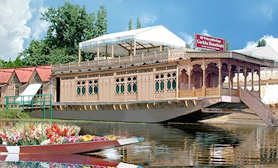 Dal Lake in Srinagar has the highest number of houseboats. 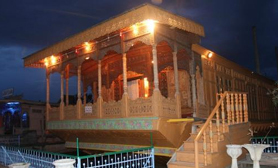 The houseboat is the place where one can find complete peace and tranquility. 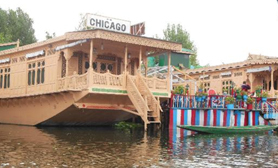 Many of the houseboats are only accessed by the Shikaras. These houseboats are the best places for those who love to stay in absolute freedom. The houseboats offer the altering tariff that depends on the how many rooms are being booked and whether the meals are included or not. The food served by the houseboats is palatable and also provide a convenience to the guests, as they don’t need to go anywhere for food. 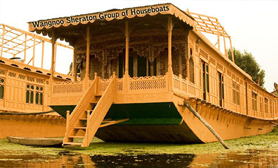 There are different categories of houseboats ranging from Deluxe to D-grade houseboats. 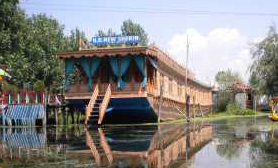 The deluxe houseboats in Srinagar have four or five spacious bedrooms, and are perfect for the travelers traveling in large groups. The houseboats also provide shared dining room, shared rooftop and a shared patio. The economic houseboats provide a shared living room. Running water is supplied in every room. These houseboats suit all kinds of budgets. 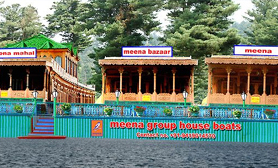 A tourist should not miss the chance to undertake an immensely serene and wonderful trip to the heaven on the earth, and a stay in one-of-its-kind accommodation. 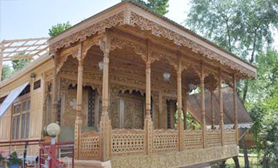 We at Tour My India, provide the enticing deals for this unique type of accommodation. Contact us, avail the deals and be assured of the accommodation experience that you will cherish throughout your life!